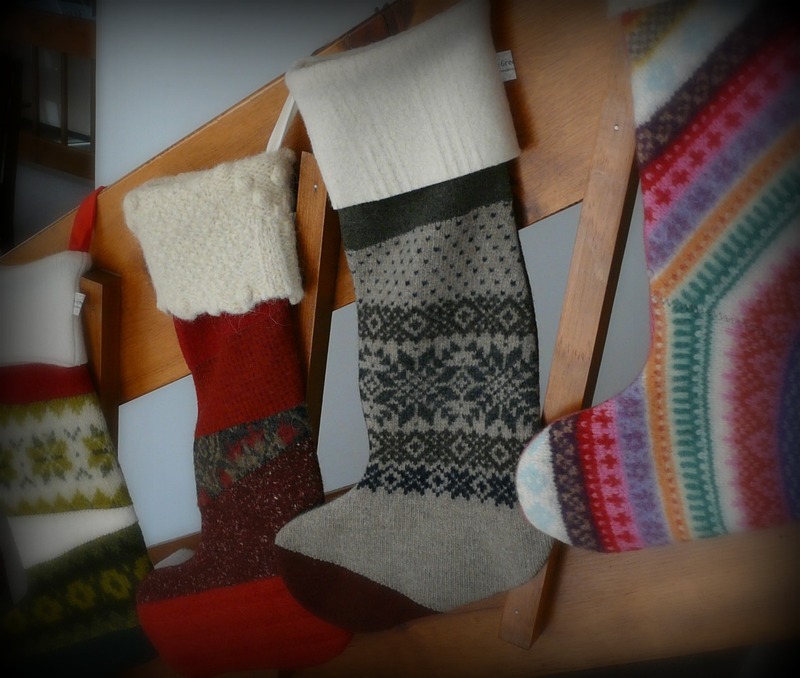 In November, my newly-married daughter called and said, “I was thinking of sewing a pair of Christmas stockings for us — but then I thought of you…” Could I maybe sew them a pair? 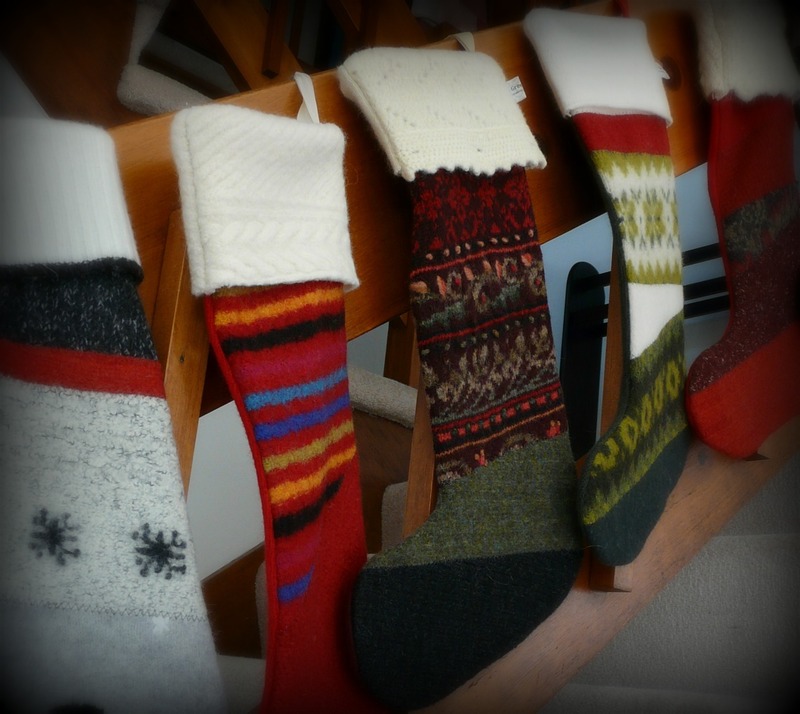 Would there be enough time? 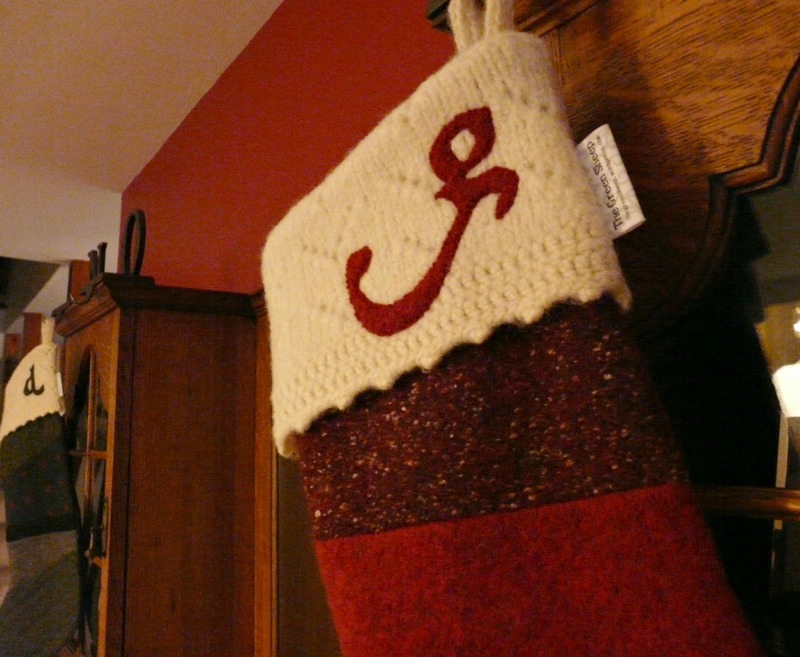 Her request fell into place after the year-end orders, and then I made the time. 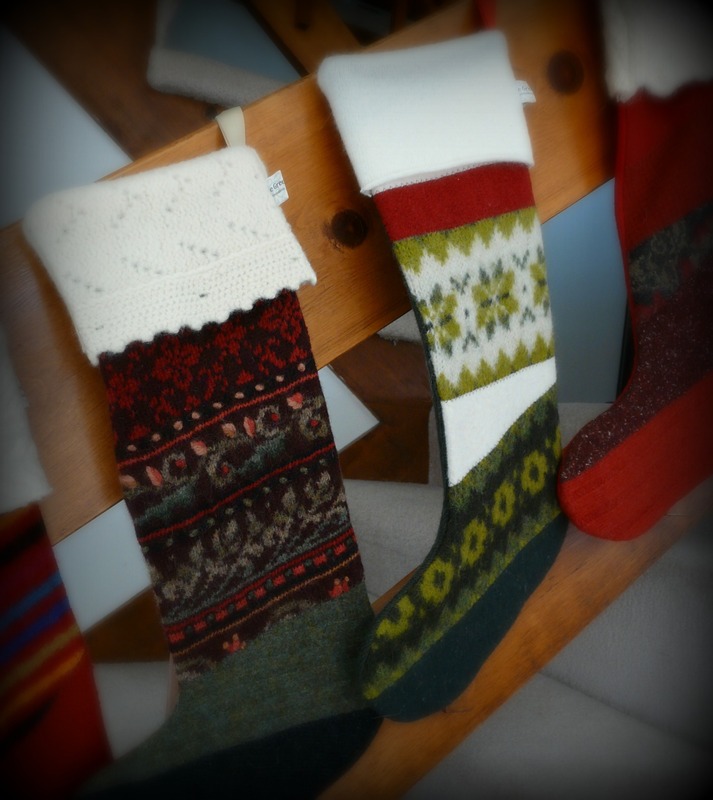 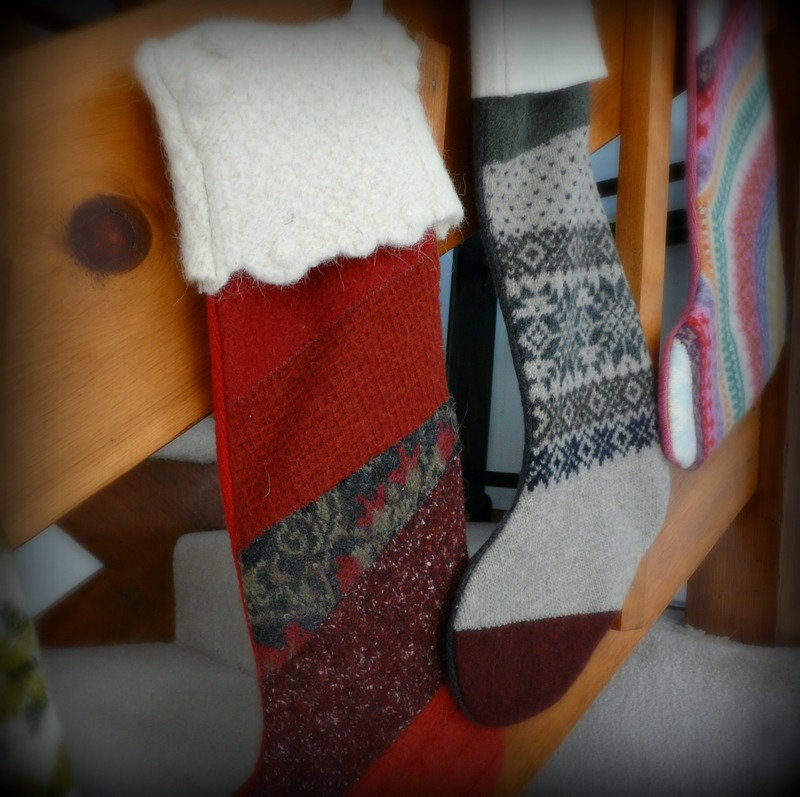 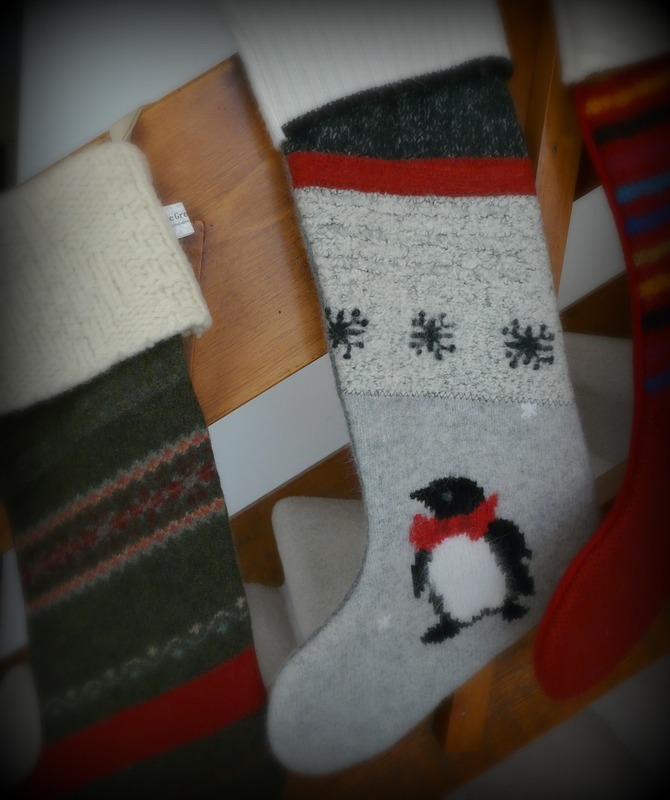 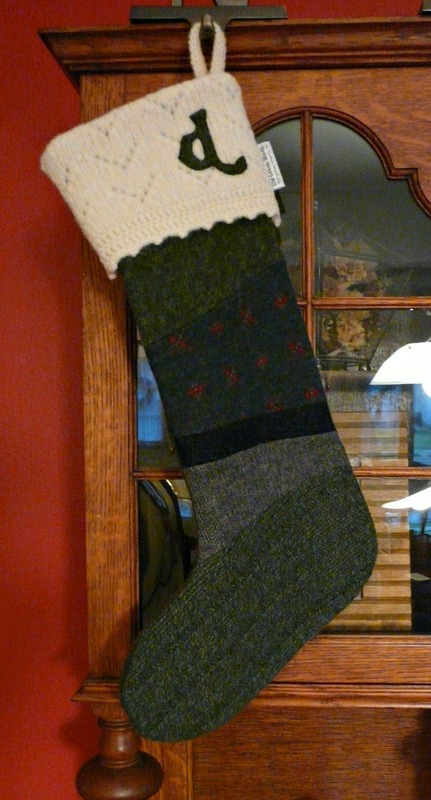 So for my dear daughter and son-in-law on the occasion of their first Christmas: keepsake woolen Christmas stockings. 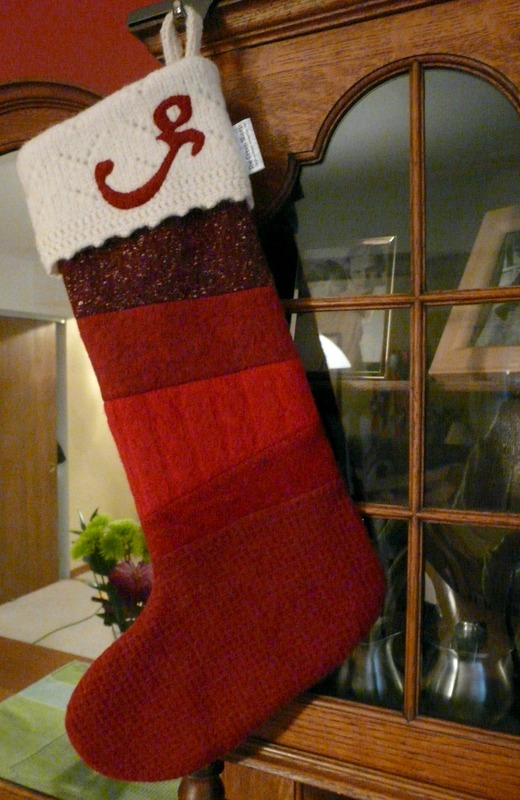 Stockings are 18.5″ long, 10″ wide, lined with cotton knit.